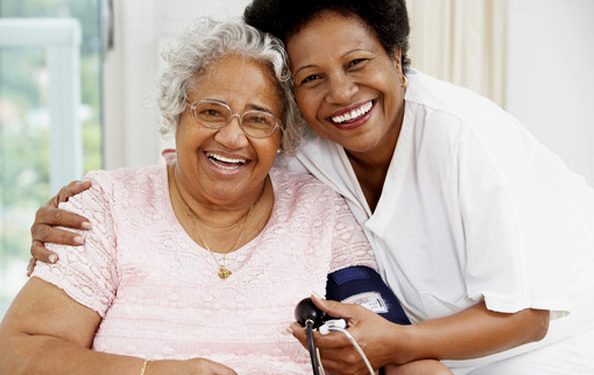 All By Grace Home Healthcare, Inc. offers exceptional services. Check and see how you and your loved ones can benefit from the services we provide. Home infusion therapy is when a patient receives this therapy in their home, with the help of experienced home infusion nurses and pharmacists. Many types of infusion therapies that can be safely administered and monitored in the home, from antibiotics and nutrition support to pain medication, pre-and post-transplant therapies, and immune therapy. With the help of home infusion therapy, patients may not need to be in the hospital for their infusion — this may be receives in the comfort of their home. Home infusion therapy can be an excellent option for many, such as those who are facing a chronic illness, recuperating from surgery, or being treated for an infection. It can also be a safe and cost-effective alternative to placement in a nursing home, or an extended hospital stay. It can allow individuals to maintain their normal daily activities and keep living life to its fullest. A variety of drugs can be infused at home such as blood factors, corticosteroids, erythropoietin, inotropic heart medications, growth hormones, immunoglobulin and many others. The Chronic Disease Management Program (CDMP) has been proven to help older adults better manage their chronic conditions, improve their quality of life, and lower health care costs. Teaching and education is tailored to manage conditions specific to each individuals health care needs. This includes HTN, Diabetes, CVA, DVT, ALS, Asthma, Pneumonia, and Rehabilitation, Dementia / Memory loss and Parkinson disease. We teach techniques to deal with problems such as frustration, fatigue, pain and isolation, 2) appropriate exercise for maintaining and improving strength, flexibility, and endurance, 3) appropriate use of medications, 4) communicating effectively with family, friends, and health professionals, 5) nutrition, 6) decision making, and, 7) how to evaluate new treatments. Patients who require either invasive or noninvasive ventilator assistance to help them breathe can benefit from Advanced Home Care’s home ventilator program. Prior to discharge from the hospital, respiratory therapists perform an in-hospital assessment of the patient’s needs and then prepare their home environment for the transition from hospital to home. Working in conjunction with the physician, patient and caregiver and having identify the best ventilator for each individual patient. Education is provided to patients and caregivers in conjunction with respiratory therapist on how to clean and protect the airway and maintain the efficiency of the ventilator. And because most units are portable, we explain to patients and caregivers how to travel with their ventilators. Because we believe in continual assistance, respiratory therapists will visit patients to check on their status, address any concerns they or their caregivers may have and provide progress reports to their referring physician. RT (Respiratory Therapists) will be available as needed for care, questions and concerns. KCI in-service or Avance wound Vacs In-service regularly scheduled. Competencies checklist is mandatory for specialized dressings. for medication adjustment in attempt to prevent hospitalizations. · Tele-Health: Telehealth is the delivery of health-related services and information via telecommunications technologies. Telehealth is a key component of any care transitions or care coordination. Every COPD/CHF patients can participate in our tele health program, which focuses on physical status such as edema status, weight, usage of oxygen as well as give in-depth teaching for self-management and the disease process. Patients doctors as needed.At every delivery of care stage, patient and their family member(s) will be informed of the care that is being rendered. Our promise to our patients is exceptional care, at an affordable price.